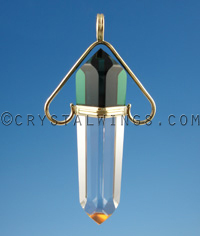 A mini version of the 4 Sided Master Healing Wand, this piece assists those who are drawn to the healing arts. 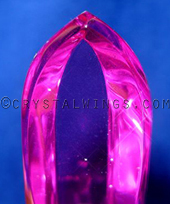 Invokes Archangel Michael and other energetic beings for protection, strength, and resolve. 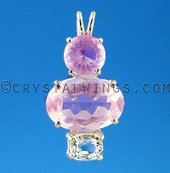 Sizing: 2-1/16" X 5/8" X 5/8"
Archangel Michael is known as a the overseer of all the angels. He is the protector, the warrior, the being that awaits and urges each human's emergence into love. He is also known as the angel, or 'great prince' charged to defend people from those energies, situations, or circumstances that do harm, or cause pain. 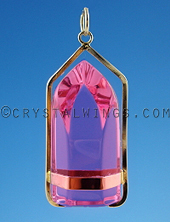 Call on Archangel Michael when you need courage or strength. He is known as not only a being of protective energy, but a being who comes forward to transform fear into peace, doubt into enthusiasm, and worry into clarity. 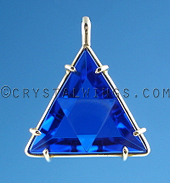 Archangel Michael has also been associated with miracles, and as being the deliverer of magical happenings. Archangel Michael has been said to have the power to see the entire span of the created universes at once, with no interference of other universes. He knows at all times where there is rain, wind, snow, and clouds without effort on his part. The angels who assist him range in size from the hugest size imaginable to man to that of the smallest species living on this earth. They fill the entire atmosphere of every star and planet in every universe. 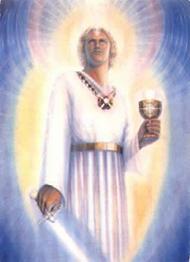 This is why invocation of Archangel Michael feels so powerful to many people - you not only are accessing his energy, but that of his outer ring of angelic helpers.